5 Bedroom/4 bathroom villa with pool and spa. Two themed children's bedrooms and a games room with pool table and football table. 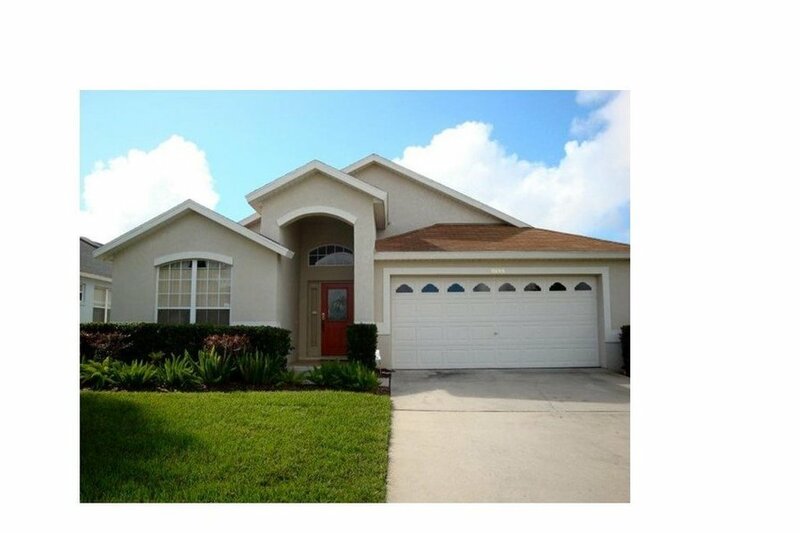 Close to Disney, shopping, bars and dining. Nearby Rolling Oaks Common is home to a Super Target supermarket, Ross, TJ Maxx, Olive Garden, On The Border, Longhorn Steakhouse, Bahama Breeze, Panera Bread, Sweet Tomatoes, Logan’s, Texas Roadhouse, Joes Crab Shack, Pollo Tropical, Panda Express, Bonefish Grill, Hooters, Orlando Ale House and Applebee’s. Also, Publix Supermarket and a 24 hour Super Wal-Mart are close by. Bedroom 1 is a king master with a T.V and ensuite with pool area access. Bedroom 2 is a king master with a T.V and ensuite with pool area access. Bedroom 3 is a queen with a T.V and ensuite. The family room has a large comfortable leather sofa plus 2 large arm chairs, a big TV and DVD player for you to enjoy, with alarmed patio door with access to the pool area. The fully equipped kitchen has everything you could need, a dishwasher, microwave, stove and hob and fridge freezer. The kitchen also has a breakfast nook with another table that provides seating for six. There is a large fenced enclosed private pool and spa which can be heated if required for an additional charge. The spacious pool deck offers a lanai with sun loungers, a table and chairs. The phone is free for incoming calls plus local calls are also free. If you need to ring long distance or International you will need to purchase a calling card from one of the stores. There is free Wi-Fi so just bring your devices and log in. Pool and spa can be heated at a extra cost.